[Video] The Snake Diet | Is It Good and Should You Follow It? 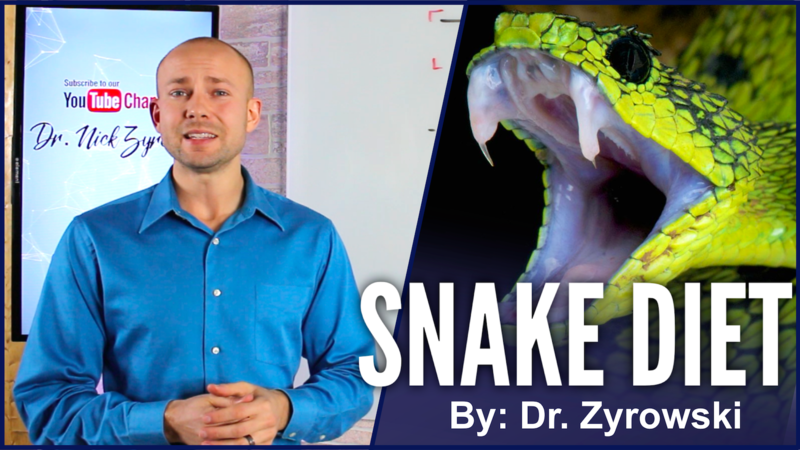 In this video, I’ll review The Snake Diet and give you my opinion of whether this is a bad or good diet system. The Snake Diet by Cole Robinson is an intense lifestyle that has worked incredible for many people. Many people who have followed this diet system have reported losing incredible amounts of weight and been able to achieve the unthinkable. It is quite impressive seeing all the Snake Diet before and after photos. 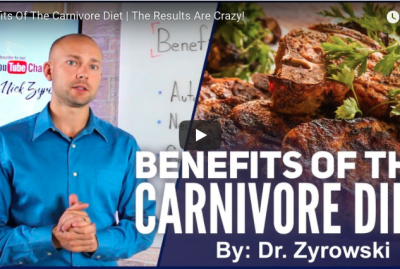 The Snake Diet for dummies is basically eating a low carb diet while doing extended periods of fasting that allow you to burn the fat off your body. The Snake Diet belly fat burning system claims to be the only way to burn fat. 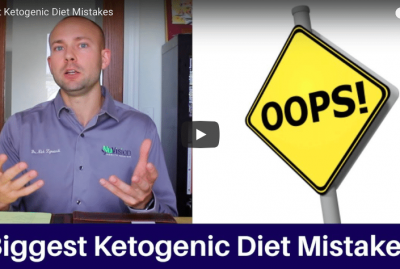 However, fat can be burned through exercise, the keto diet, and many other ways. None the less, fasting certainly is a great way to burn fat. Cole (AKA The Snake Diet guy) went on the show “The Doctors”. The cast made him out to be a fool, claiming his diet will kill people and making very strong claims against him. I almost felt bad for him until I saw his abrasive personality and his many videos belittling doctors. Though I understand his points, his approach is not a great way to start a healthy conversation. Unfortunately, the Snake Diet guy and the doctors had a very unintelligent conversation. I believe some really good dialogue should have been had. However, the doctors were unwilling to even acknowledge the fact that Cole’s system works because fasting works. I also think it is important for people to understand that many online health gurus have no health education at all but read and interpret information without a deep understanding as to how these ideas actually play out in a clinical setting. All that being said, below I’ll elaborate on whether or not the Snake Diet holds water and whether I would recommend it. In this video, we’ll discuss The Snake Diet. Hi ladies and gentleman. I’m Dr. Zyrowski and welcome back to the channel. If you’re new to the channel then as always, it’s a pleasure to have you here. Be sure to subscribe, and hit that bell notification and join our notification community, so I can help you excel your health and your life. 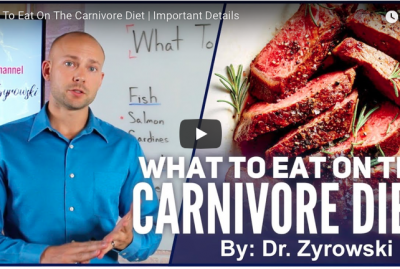 In this video, we’re talking about The Snake Diet. This is an interesting topic. As of lately, I’ve been seeing this come into my life in so many different ways. I’ve seen it show up in my news feed and I’ve always ignored it because I thought to myself, Snake Diet, Snake Oil, some goofy thing. And then, I also have had a lot of people sharing it with me and I never really went and followed the links that they shared with me but a lot of people were asking my opinion of it. So finally, I clicked on one of those links and it took me to The Doctors show where the founder of The Snake Diet appeared on The Doctors show. And so, what I want to do in this video is first of all, kind of do a brief overview of what The Snake Diet is. But then give some practical thoughts on The Snake Diet and the appearance of the founder on The Doctors show because it was incredibly interesting, the whole dialogue that took place. Now, when we look at The Snake Diet, essentially what it is, is a prolonged fasting technique, okay? So, what the founder does is he has people start with a 48 hour fast. Doing that 48 fast throws you into ketosis, okay. From there, you cycle out to a low-carb diet and then, from there you cycle back into another fast. This time, a 72 hour fast, and then basically the idea behind this whole Snake Diet system is that if you have fat on your body then you have energy sources to survive. So, what you do is, you keep fasting and there’s some people who have been fasting for 10, 20, 30 plus days while doing The Snake Diet. And so, that’s the whole idea behind it, just to burn that fat off the body and start to heal the body. Now, during The Snake Diet, when you’re following the Snake Diet and fasting you drink something called Snake Juice, okay. So, Snake Diet has Snake Juice. What that basically is, is an electrolyte balancing drink. Now, the next thing is that the diet advocated is, keeping your eating windows small and then also fasting between meals. And so, when we look at this, a lot of it sounds very familiar, right? One Meal A Day, eating windows small. 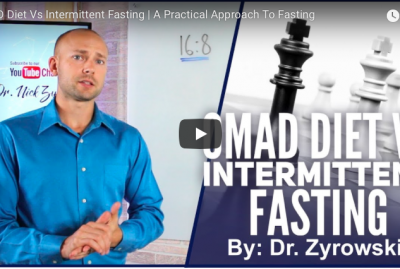 Intermittent fasting, keeping your eating windows small, fasting in general, doing a prolonged fast. We talk about how a seven-day water fast can actually start to clean up those pre-cancerous cells in the body and really give you a lot more chances for living a good quality life without disease in your future. So, a lot of this sounds very familiar. 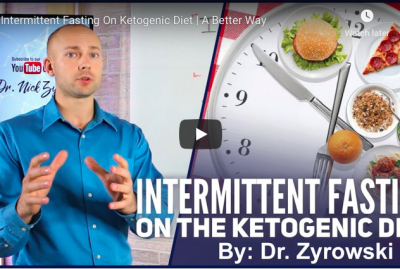 One of the big differences is, is that it advocates a lot of prolonged fasting in order to just keep burning the fat off your body. I think it’s a very intense way of living. I think it’s a diet that is not very sustainable for most people, long term especially. And so, look at this overall, I don’t think I would do it because it’s just not particularly what I am looking for. But it’s interesting nonetheless and I think that there’s some really good concepts behind it. Now, the other thing that the diet had said is that fasting is the only way to get fat off your body and I don’t believe that. 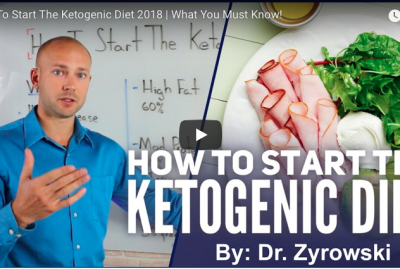 I don’t think that’s true at all because you can follow the ketogenic, you can do a lot of things to get that fat off your body where they just really advocate fasting, and fasting and more fasting. And so, anyway, it’s really interesting. Now, one of the things I wanted to discuss is, when the founder actually went onto The Doctor show and just give some practical thoughts on that because I watched the video and initially I thought to myself, well this was so unfair because they had the guy onto the show and the doctors just made him out to be a complete dummy, really just took his whole diet and his whole system here and just said it’s dangerous, it’s going to kill people and that people shouldn’t be doing it. The audience was behind the doctors, kind of clapping when they made fun of the founder and so, anyway, they were throwing some different cheap shots at him and I just didn’t really agree with it. But you know what, I didn’t feel that bad for him after I watched some of his other videos because I realized he’s very abrasive in his videos. He uses a lot of strong videos and so they probably thought he was going to bring that to their show and they were probably just ready for him in that way. And, I also know that he probably could have cared less of how they talked to him because he seems like he’s, you know, it wouldn’t affect him at all and just seeing his personality. And so, one of the things I thought what really unfortunate about the whole dialogue on the show is that there was no intelligent conversation that came out of it. The doctors basically said this whole system is stupid and dangerous and you shouldn’t be doing it. But, they totally ignored the fact that he really is advocating a lot of fasting which has a ton of health benefits, talking about shortening your eating windows. And the one doctor had said to him, “well you know what, I’m ripped” and they showed a picture of him and they said, “I’m ripped and I eat six meals a day”, and then the founder had went back and said, “if you were to shorten your eating windows you could actually eat more”. And so, anyway, he had tons of great points. I don’t think by any means he should be written off as a dummy because I think he has a lot of intelligence behind his whole system here and I think he’s an intelligent guy himself. It’s just that the doctors didn’t really give him a chance. But the thing is, that when you look from his standpoint, the founder’s standpoint, he sees that he’s helping all these people and all these incredible results. When you look from The Doctors standpoint, us doctors actually are working with people who are sick all the time, dealing with real issues, have a really deep understanding of the body and so, we can see how there’s so much potential problems that come out of it. What about the kidneys? What about the liver? What about the organs in the body when doing all this prolonged fasting? And so, I think there’s a lot of intelligence behind here, I think that you just have to be careful when following something like this. I think that you have to be careful about a lot of the information that you find online. There’s a lot of online health gurus that have absolutely no health education at all and through their lenses they’re just helping a lot of people and so, everything that they’re doing is good. However, from a doctor’s standpoint and having a health education, you can see how some danger can come into it. And a lot of the online health gurus are just finding information and just processing it and then teaching on it but not really having a full understanding as a doctor would who had been to school for many years. Now, here’s the thing too, is that from The Doctors standpoint they said ‘where’s the peer reviewed double-blind studies, where’s the research’, right? Well, you know what? There’s a nation full of obese people. At some point, you just got to get the job done, you know and when we look at The Snake Diet, there’s a ton of people who have incredible, incredible results that have followed it, so the results are real. But from The Doctors standpoint, I think that sometimes you have to be careful, you can’t just keep standing back going, where’s the research, but yet like watching all these people dying from obesity and all the conditions that come along with obesity. So, you know what, it’s really you have to take and look at both side of the picture here, and you have to think to yourself, well what really should be done here and so, in a lot of ways, I’m on the side of, well sometimes you’ve just got to get the job done and that’s what Cole’s doing. But, from The Doctors standpoint, you also have to be safe about it and so, that’s important as well because once again, the doctors deal with very sick people all day long and a lot of, they understand how there could be some potential problems that comes from this. So, what I want to know is, what your thoughts are on The Snake Diet? So, go ahead and post in the comments section below. If you’ve done The Snake Diet, share what you’ve experienced with it, maybe share what you know about The Snake Diet, let us know your experience. Post in the comments section below if you have any questions as well. Be sure to subscribe to my channel, check out my other videos on how you can improve your health and I’ll see you in the next video.